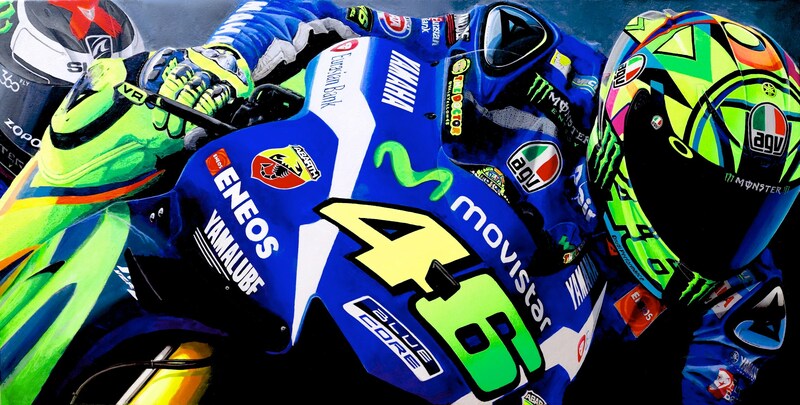 Valentino Rossi won his first race of the 2016 MotoGP season with a perfect ride at Jerez, to the delight of the fans who did not mind the Italian beating two Spaniards (Jorge Lorenzo and Marc Marquez). 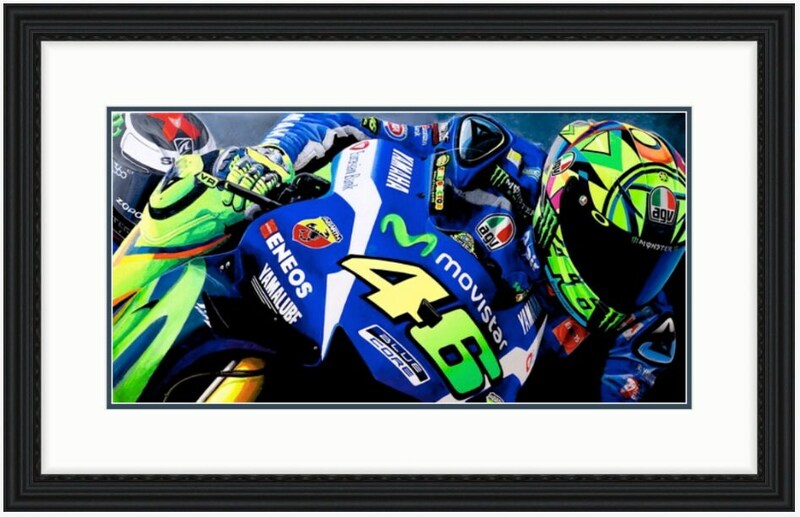 Leading from the start, the victory was Rossi’s seventh around the Jerez circuit, with his Yamaha team-mate Lorenzo threatening to pass the Italian throughout the first lap. The Spaniard dived down the inside of Rossi at turn eleven on the entry to Curva Angel Nieto, only to run wide and leave a gap big enough for Rossi to retake the lead. "The Doctor". maintained the lead at around two seconds, before pulling away in the final 10 laps to take victory. The original Acrylic-and-Ink on canvas painting measures 36"x18"x1.75".